For today's card I went a little bit rustic with a natural kraft background and basic everyday papers by Jillibean Soup from their soup staples collections found HERE and HERE. This is another one I created with the challenge of not using any holiday themed products (aside from my sentiment stamp). To create my ornaments I used circle punches and cut apart a scalloped circle for the ornament toppers. These were fun to decorate with small scraps I had laying around. A little red jute from American crafts with a sentiment banner to hide my strings and I was done. Mendi I just LOVE this card! 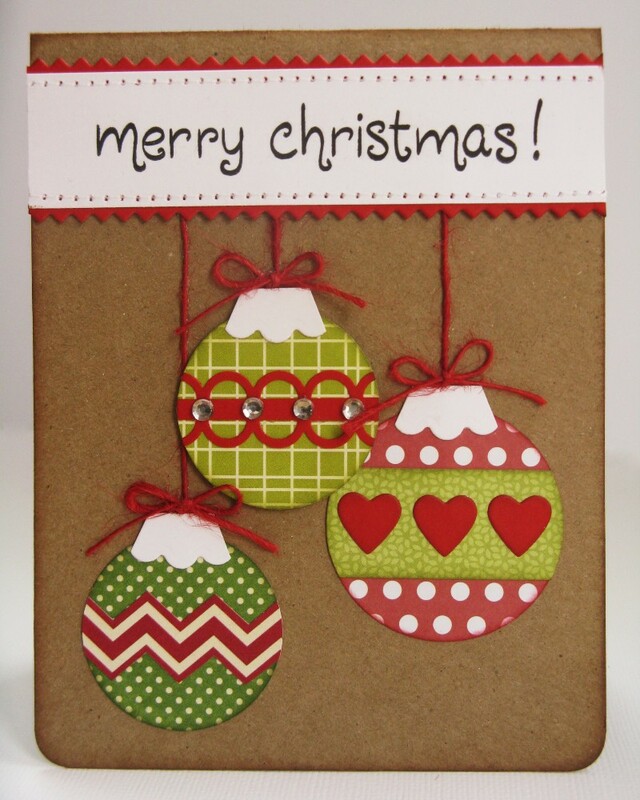 I am going to have to copy this card ... love your ornaments! This is perfect!